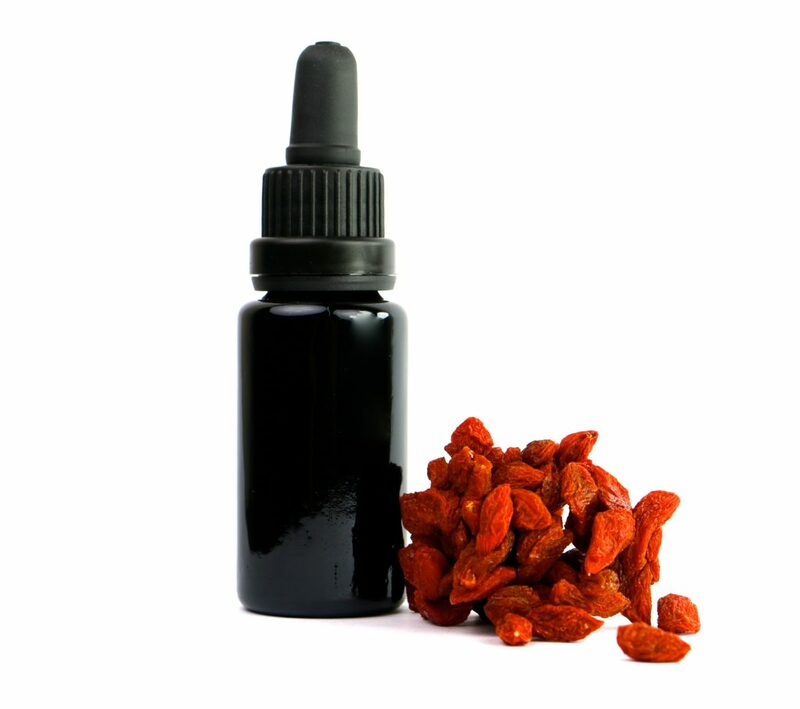 This goji berry extract contains the fruit, seed, stem, leaf and flower. 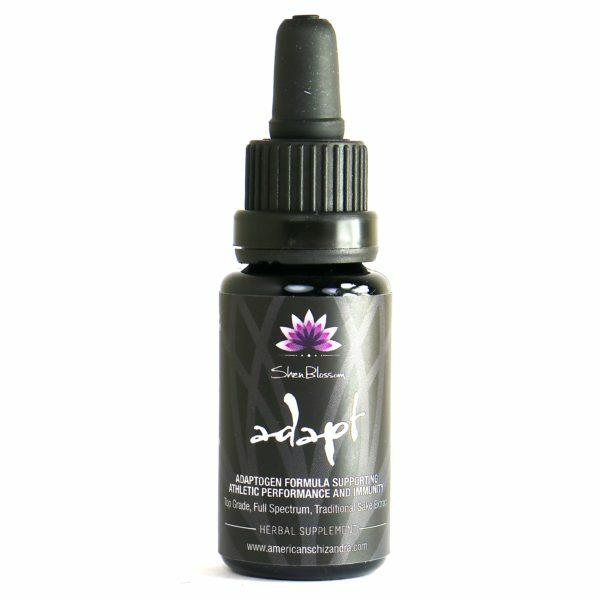 This medicinal grade goji is sourced from pristine regions that produce an exquisite variety of this well known tonic herb. 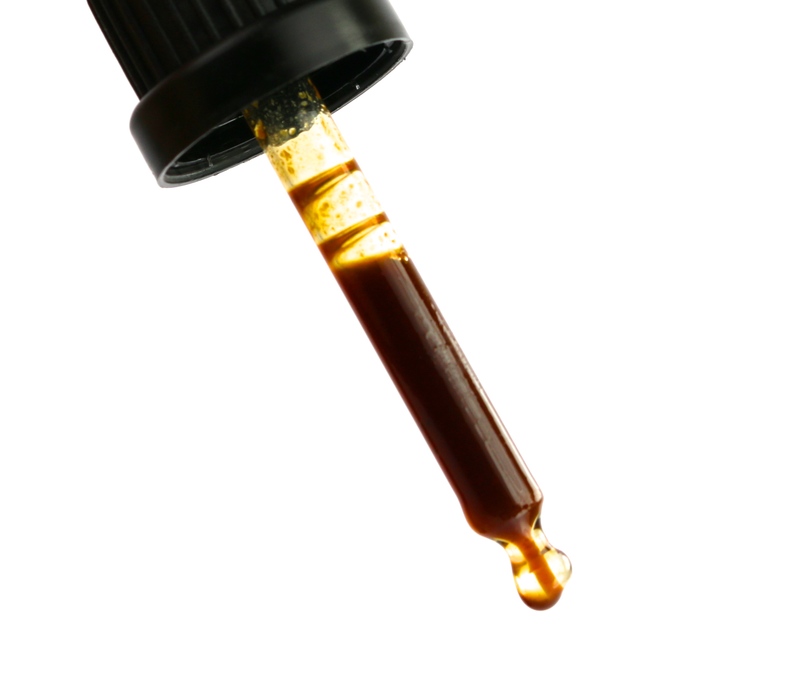 This full spectrum sake extract is processed to our standards using traditional techniques which maximize the potency and efficacy of what this nutrient dense plant has to offer. 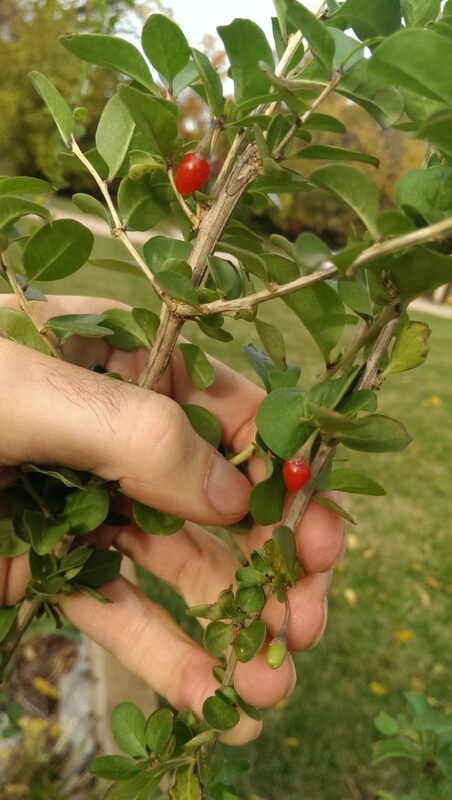 Goji Berry is one of the great treasures of Traditional Chinese Medicine (TCM). 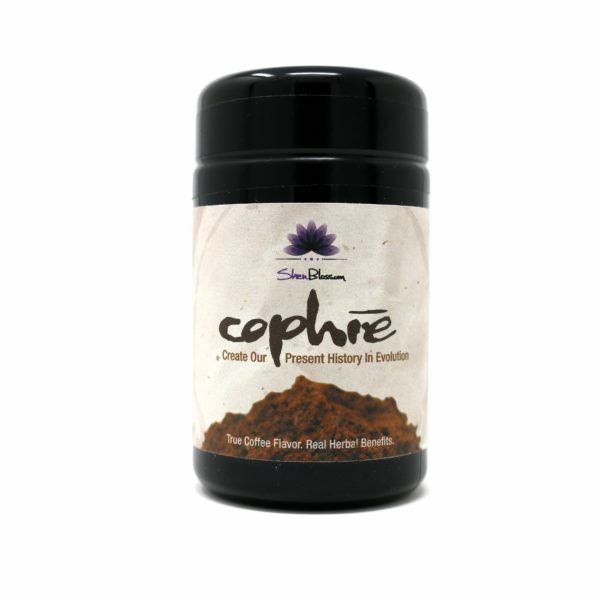 The whole plant including the root, bark, stems, leaves, flowers, and berries are very medicinal and provide significant nutritive and adaptogenic qualities. We source a non-commercial grade goji that has smaller leaves and berries as compared to the longer leaf, high desert varieties found in certain regions of China. Goji is an amazing plant in the sense that it can adapt to extremely poor soil quality with limited rainfall and do very well. The variety we source is more commonly grown in soils that have a higher nutrient density like Hawaii and Japan. These specific varieties are are harvested for whole plant herbal use vs. just the berry consumption. 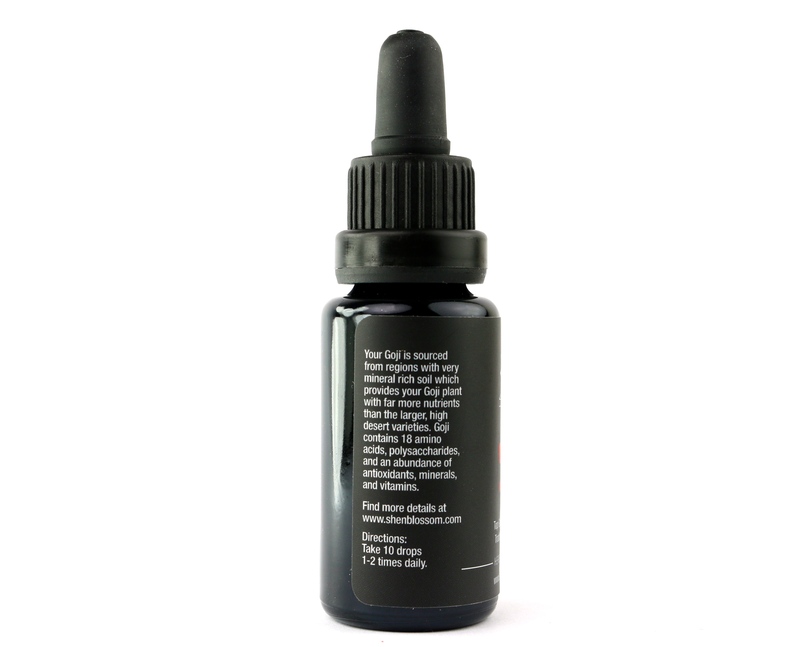 The flowers in this goji extract are seasonal and help the anti-oxidants in goji like the beta-carotene and zeaxanthin support eye and vision health. They brighten the eyes and are a nutritional preventative to age related optometric issues. Goji is a time tested, well respected, anti-aging and nutrient dense plant, that provides the body with a wide spectrum of healing properties and nutrition. Improves immune function supplying antioxidants like vitamin C and A along with polysaccharides which act like food for the immune system. 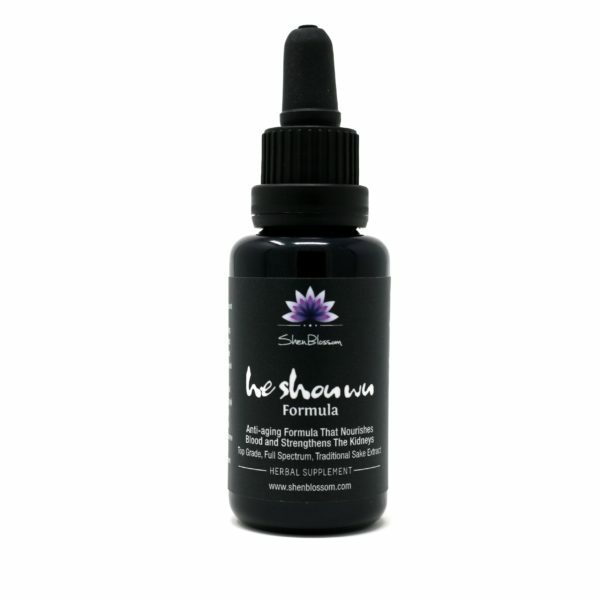 Promotes Healthy Skin by providing high levels of beta carotene, and xeaxanthin that helps protect the skin from sun damage. Goji provides 18 amino acids (11 of them are considered essential) which is very rare for a fruit to be a complete protein source and also contain 5 sources of healthy fatty acids including alpha -linolenic acid and linoleic acid. Goji contains a variety of phytochemicals including beta-carotene, betaine, zeaxanthin, lycopene, cryptoxanthin, luetin, and polysaccharides. Goji is also a rich source of vitamin A, C, B2, selenium, potassium, iron, and other trace minerals and more. The goji berries we source enjoy a happy life in nutrient rich soil that yields berries that are very high in their nutritional value. 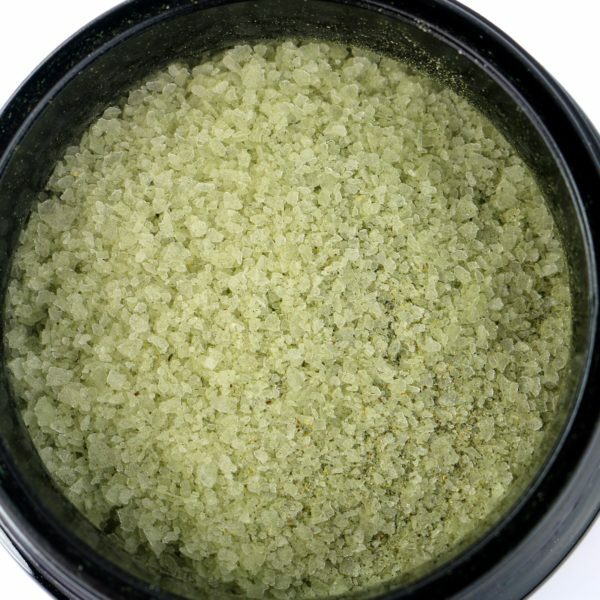 The berries, leaves, flowers and stems are harvested with respect to the plants and processed using traditional methods to create a goji extract that provides tremendous value to the body. The goji plant has become popularized in the last 15 years in the west as a "superfruit" yet, in traditional herbal medicine, goji has been revered for thousands of years. Goji is viewed to help strengthen the kidneys, liver, and lung organ systems. It is believed in TCM that the kidney system is the root of the body and that strong kidneys or strong kidney essence helps delay the aging process and promotes vigor and vitality. Strong kidneys promote excellent memory and hearing, high libido, strong legs and lower back and healthy joints. The Liver is an important organ as it serves over 500+ functions in the body. Goji helps to build liver yin and helps you to feel happy and see clearly by strengthening the eyes. When we nourish the liver system, it is much easier to plan things out and to be creative. Goji will help to build overall strength and tonify the liver organ system. The Lung is a delecate organ that is the most exposed to the external environment. Goji helps to moisten the lungs, strengthening and toning this important organ that brings essential oxygen into our system which regulates Qi and PH in the body. The lungs work to circulate energy to the rest of the organs to build a healthy immune system while working with the fluids of the body and influencing metabolism. Being that your goji extract is extremely concentrated, simply take 10-12 drops 2-3 times a day for best results. Ingredients: A cold water Sake extract of Goji fruit, seed, stem, leaf, and flower. I have been using the Goji Berry Extract for several months. It tastes amazing and feels so nourishing to use. I have definitely noticed improvment in the clarity of my eyesight. Colors seem more vivid and images are crisper. 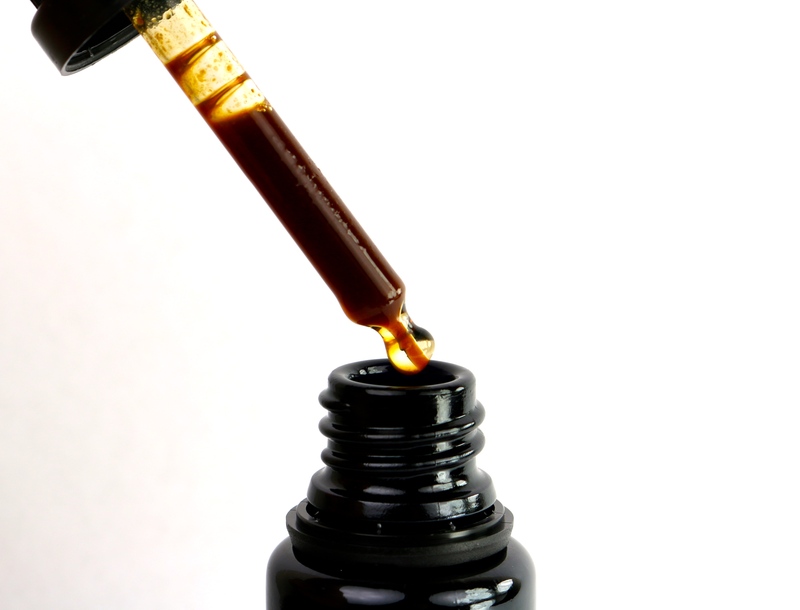 I love the knowledge that I am getting all the benefits of the Goji berry in this beautiful extract!